The thyroid gland is an important organ in the human body that is responsible for the production of hormones necessary in regulating metabolism. If these processes are interrupted, it can cause hypothyroidism. Cruciferous leafy vegetables that are rich in fiber, like broccoli, cabbage, spinach, kale, and Brussels sprouts, may inhibit thyroid medication absorption. It’s unlikely that they’ll harm thyroid if you’re eating normal-size servings. Reducing the amounts of such products in the morning right after taking your medication may help. Nuts and seeds: Millet, pine nuts, peanuts, etc Foods that contain gluten: Bread, pasta, cereals, beer. Fast-food meals, all junks, fried items, salty processed foods, sugary treats, such as pastry, cake, cookies, and ice cream, and excessive alcohol. Sugar and processed foods lead to inflammation in the body. Inflammation inhibits T4 to T3 conversion. Hence your thyroid needs T3, this isn’t a good thing. High-Serotonin Fruits That Can Hinder Your Thyroid Health. Fruits play in general great role in regulating thyroid function. However, not all fruits are created equal. As mentioned above, thyroid sufferers commonly overproduce serotonin. These serotonin triggers the production of estrogen, cortisol, prolactin, and inflammatory histamine, unsurprisingly, all of which suppress thyroid function. This promotes a mechanism called as Hypothyroidism-Serotonin Cycle, which can trap you in a state of hypothyroidism. Limiting all fruits in our diet will increase chances of hypothyroidism. Fruits and starchy plants: Sweet potatoes, cassava, peaches, strawberries, pears. These fruits can inhibit the function of thyroid gland 6 fruits have the highest levels of serotonin. Alcohol may irritate your thyroid gland and will inhibit its normal functions. It will also effect on metabolism and will produce toxins which will further increase the thyroid related problems. Alcohol is one of the commonest illicit psychoactive substances consumed globally. It have multiple effects on the hypothalamus-pituitary-thyroid axis and the functioning of the thyroid gland. Alcohol has been reported to cause direct suppression of thyroid function by cellular toxicity, and indirect suppression by blunting thyrotrophic-releasing hormone response. It leads to a decrease in peripheral thyroid hormones during chronic use and in withdrawal. The beverages which have caffeine content can affect the way your body responds to your medication and causes you to absorb less of it through your digestive system. If you are unable to stop taking caffeinated drinks, at least don’t drink them with your medications or right after waking up in the morning. Let your medications first be absorbed, then you can have your caffeine. Eating candies and other sweets with your already weak metabolism due to hypothyroidism will probably make you gain lots of weight very quickly. Moreover, this condition will make very difficult for you to lose weight, so gaining it quickly is a very reckless choice. Limit your intake of sugars and other high-glycemic foods, as excess weight can also affect the function of your thyroid gland. So avoid alcohol consumption. In thyroid problem, if you’re eating wheat or other forms of gluten, you need to stop or lessen its intake. About 90% thyroid disorders are autoimmune in nature (that means that about 90% of all hypothyroid patients have an autoimmune disease) There is a strong connection between gluten-intolerance and autoimmune thyroiditis. As thyroid disorders are also associated with celiac disease. Fluoride exacerbates the impact of iodine deficiency. Stop using fluoridated toothpaste and mouthwash. Don’t forget to check your medications. It is very surprising to learn that many common medications are fluorinated. Antidepressants, antacids, arthritis medications, and more contain fluoride. Thiocyanates are sulfur-containing compounds which are found in a variety of popular vegetables. These Thiocyanates make it difficult for the thyroid gland to absorb iodine because they compete with iodine for entry into the gland. This effect can be minimized by supplementing the diet with iodine; the excess iodine can then crowd out the thiocyanate and win the competition. Thiocyanates make the activity of the enzyme thyroid peroxidase weak, which is required to insert iodine into thyroid hormone. This phenomenon can be greatly reduced by iodine supplementation. Foods that form Thiocyanates: Bamboo Shoots, Corn Turnips, Flax, Lima, Beans Sweet Potato Cruciferous Vegetables, Cabbage, radishes, mustard seeds. 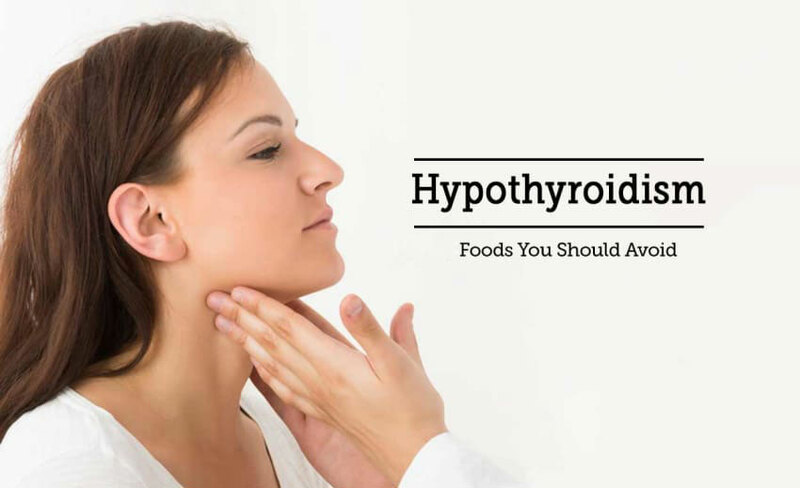 People having hypothyroidism should take care while using above mentioned food items and should avoid them or have in less amount so that they don’t interfere in the functioning of thyroid or leads to disturbed metabolism.